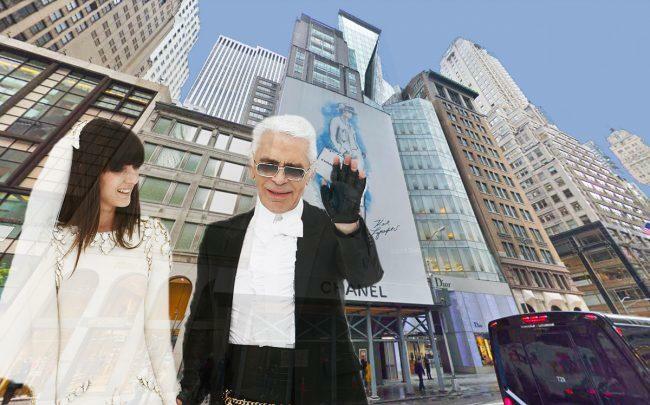 Chanel has purchased its headquarters in Midtown East for $81.5 million. The famed Parisian fashion company bought the 17-story building at 15 East 57th Street from Metropolitan Real Estate, part of the Carlyle Group, according to property records. Chanel initially signed a lease at the building in 1993 and filed plans for a $3.8 million renovation in 2016 that included expanding the retail space from the first and second floors to the first through seventh floors. The East 57th Street building expanded to 17 stories in 2006 and spans roughly 54,000 square feet. The Carlyle Group did not immediately respond to a request for comment, and representatives for Chanel could not be reached. Chanel previously purchased an Upper East Side retail co-op at 733-739 Madison Avenue for $123.8 million. The company also inked a 15-year lease in the Solow Building at 9 West 57th Street in 2015.